Burmese Veg Curry Khow Suey My Way ! I haven't made this dish for ages, partly because it take lot of planning and special ingredients. So those of you readers, who are not in to lengthy recipes, I would suggest, stop right now and go to some other recipe. Despite of taking lot of short cuts to make this dish, it still took me good 1.5 hours to cook. However is a meal by it self and very filling and yummy. This recipe yields about about 10 servings, you can cut down the recipe to half for less servings. Khow suey, a Burmese dish, is a one-dish soup meal traditionally in Burma made of Egg noodles and and curried beef or chicken with Coconut milk, served with a variety of contrasting toppings of condiments. A squeeze of lemon or lime also adds tanginess to Khow Suey The dish is similar to the Burmese noodle dish "ohn no khauk swe" literally "coconut milk noodles." You can make this recipe vegan/vegetarian by using tofu instead of chicken and gluten free by using rice noodles instead of egg noodles. Use vegetarian broth instead of chicken if you choose to make it vegan. What inspired me to make this is my son, who visited India after long time and in Mumbai we went to Umami Restaurant which serves Asian fusion dishes. We had this vegetarian dish there and he loved it. So I decided to give it a go after many many years. Initially I had acquired this recipe from very good friend of mine now for almost 37 years, Mrs. B. Kothari, who always likes to try different dishes. However I made this once in early 80s then I never tried it and then I lost that recipe. so from that memory and taste and presentation at the restaurant I came up with this modified version. First I will give you step by step direction for prep and will list ingredients as I go along, but at end of this recipe I will list all the ingredients so if you want to first scroll down all the way to see what you would need you can do that. I started with the toppings first to get myself organized. You can prepare these ahead of time. 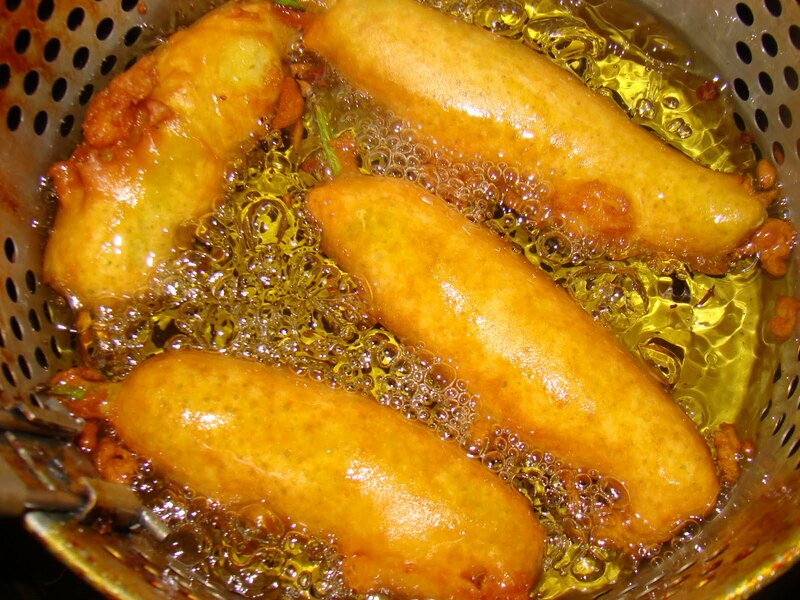 Heat the oil in deep fryer. Fry Garlic and turn the heat to medium so you don't burn the garlic cloves, when golden brown take them out on paper towel. Then deep fry the sliced onions same way until nice and crispy. Note: After I deep fried them, I realized that I could have done the same process with less oil in my air fryer. So you may want to try that. 4-5 green onions thinly chopped. Roast these on a skillet on low to medium heat until you can smell the nice aroma and golden brown but don't burn them. When cool finely grind these in food processor. Set this ground spices aside. 1 teaspoon of Macha green tea powder, if you have fresh lemon grass that would do but I did not so I used this instead. Now in the same food processor grind coconut mix, turmeric, garlic and macha tea powder. Add ground roasted spice mix. Add Singapore seasoning if you have it, if not no worries. Rinse the food processor with one cup of water and pour the mix in a bowl, set aside. Now take 2 red small red onions and one yellow onion and one inch of peeled ginger and finely grind them in smooth paste in same food processor. Saute one 8 oz of pack of baby Portobella mushrooms in heated oil, set aside. Then add 1 can of baby corn (slice them in to small pieces) Drain and set aside. Add stir fried mushroom to these veggies and set aside. Now in a deep pan heat 1/4 cup of cooking oil. Add 4-5 bay leaves, 2 teaspoon of cumin seeds, 3-4 dry red chilli pods and asefoetida. Add ground ginger onion paste. Saute on medium heat until light brown. Take 4 Roma tomatoes and chop them to puree in food processor. Add one cup of plain yogurt. Add two tables spoon of Gram flour and whisk it to smooth consistency. You may add some water if too thick. Add this to cooked onion ginger mix on stove. Add the spice mix with turmeric and all the ground spices that you set aside earlier. Keep cooking all this on low medium heat with occasional stir. Cook until comes to boil. Bring it to boil again and be sure not to cover the pan as the veggies will loose their green color. Boil noodles according to instructions on package (I used two kinds of noodles: Pad Thai and Japanese fine noodles. Pad Thai noodles need to be soaked for 30 min in cold water before cooking and cooking time is very less, you want the noodles to be not very mushy and soft. Place the noodle in bowl. Squeeze fresh lime or lemon juice according to taste. Sprinkle salt and red crushed chili pepper or Singapore seasoning if you have it. 1/4 cup of cooking oil. 2 teaspoon of cumin seeds. Pad thai noodles you can even use spaghetti or any other thin Japanese rice noodles. Tellicherry, black pepper, lemon peels, citric acid, garlic, onion, turmeric, coriander, cumin, ginger, fenugreek, nutmeg, fennel,cinnamon, white pepper, cardamom, cloves, and cayenne pepper. So there, you can make your own it adds nice zest to the topping with these blend of flavors. With special thanks for my friend Mrs. B. Kothari and my son who inspired me to make this after such a long time. Sorry for any type Os if there are any. Please let me know if any questions or comments.